The 20th century was indeed a great era for Cyprus. 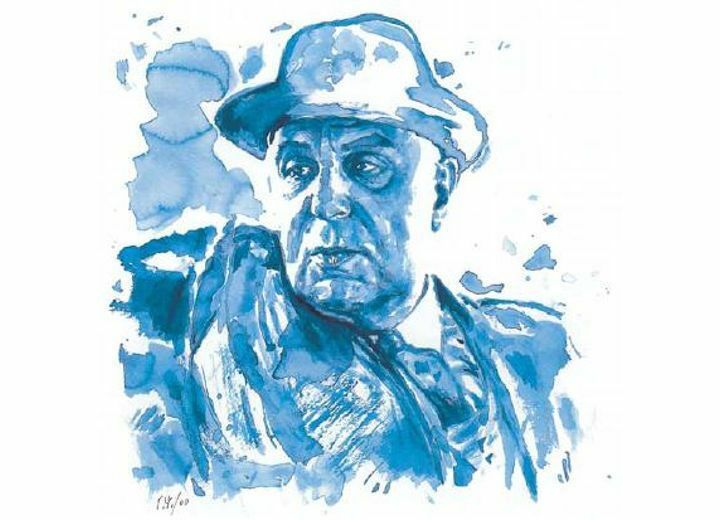 On 22nd October 1937, Agious Vavatsinias, a small village in Cyprus, welcomed a toddler who would be the great voice of the country and beyond. It was on the date mentioned above that Loizos Manos was born. His parents were Cypriot immigrants in Egypt and would later head to the country when Manos was still young. In his early age, his parents could detect that the boy held a rare talent since his passion for music was very intense. Indeed, Manos was a songbird in the making. The parents were right all along. He would, at a very tender age, realize his talent in music. The young man was so determined to stop at nothing until he became the great musician he had always yearned to be. Before Manos even decided to take a profession in music, he had already done personal training under his parents watch and in his early educational levels. He was the kind of young man who was intensely focused on learning the music notes, even if it meant taking self-training. Manos would perform in school as a way of communicating and cultivating his singing talent. It did not take long for Manos to make a bold move to take an independent route and develop more on his music career. At the age of 17 years, the charming and ever songful Manos moved to Athens, and this is where his independent personal training in music would begin. Upon arriving in Athens, Manos was torn between taking Pharmacology and music. In fact, he even made initial steps in pursuing pharmacology. However, this was not to materialize. A songbird will always remain a songbird. Manos gave up on pharmacology and shifted gears to his all-time favorite profession- music. Interestingly, he did not enroll in any music training institution while in Athens. As the courageous young man he was, Manos decided to learn music through his means. In other words, Manos would eventually become a professional but self-taught musician. Incredible! There was absolutely no formal introduction to musical art, neither was there any form of related training that Manos undertook. It was a tough journey that Manos had to take, but he was more than determined to break the mantle and become an exceptional Greek and global musician. In approximately nine years, Manos was already booming. His prominence was already in the air. The budding musician had already grown some roots to command the music industry in Greece and beyond. In 1963, the audience that Manos attracted was already immense. 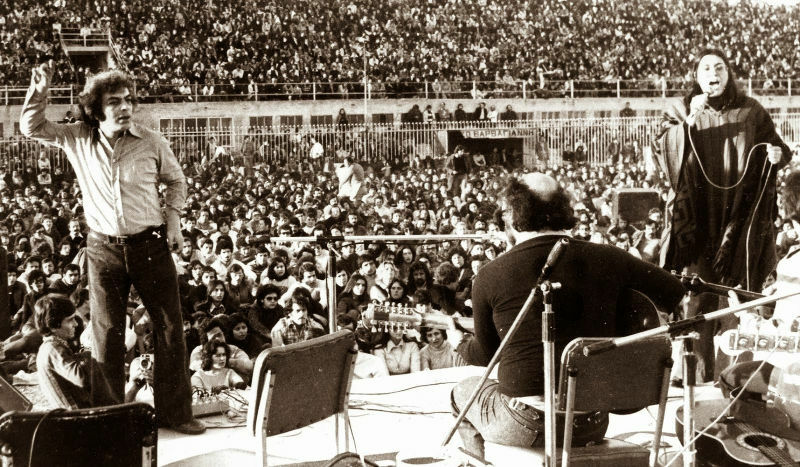 Even further, in a span of 4 more years, Manos had already won the confidence of many song enthusiasts; hence his audience had already grown bigger. Manos would not stop at the satisfaction that he had already made audience in 1967. He would work even harder and tirelessly to gain even more audience. He was very committed to becoming a dominant, commanding force in the Greek music industry. 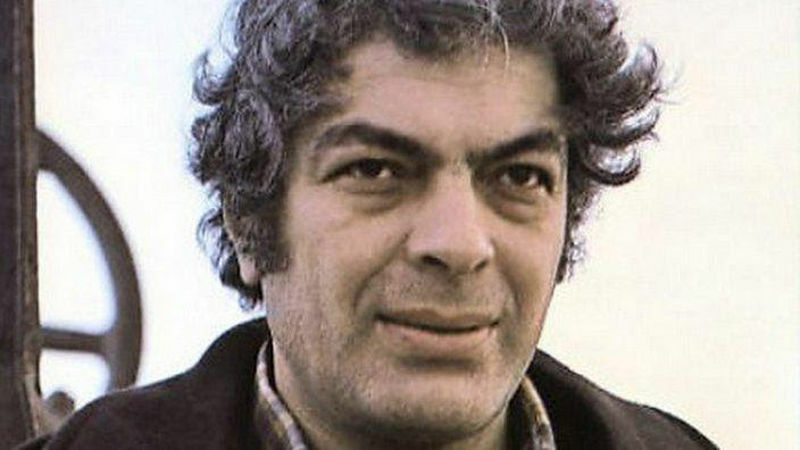 He relentlessly challenged other renowned Greek musicians of his time, to the extent of being rendered the most famous Greek musician in 1975. At this juncture, the dream of Manos was already turning into reality. He had already gotten the golden chance of projecting his voice to the world. In fact, he was exposed to great music personalities in the world through his undeniable talent. 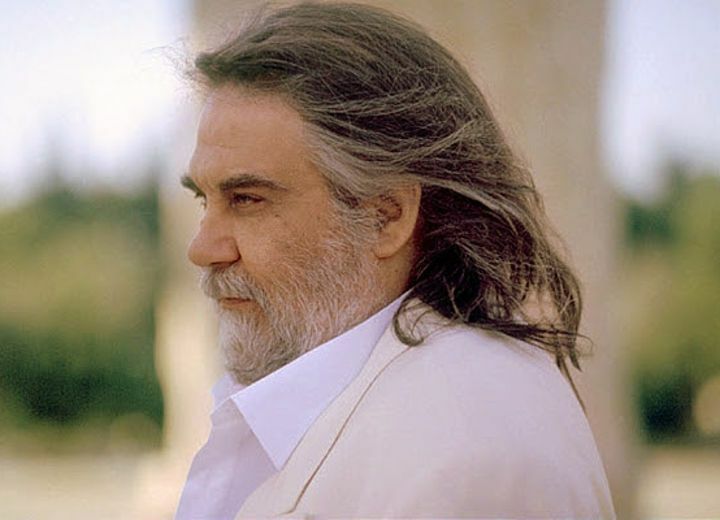 He proved to be a force in the musical arena through the production of some of the best Greek hits. 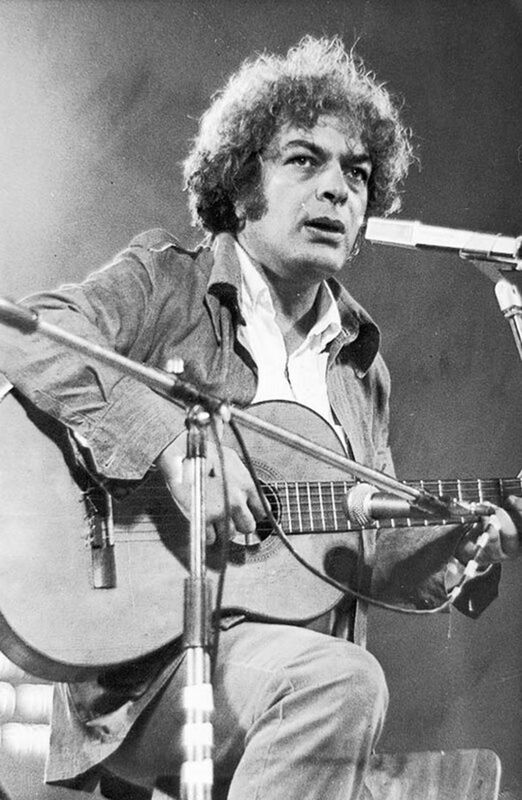 The incredible thing is that Manos did not rely on other people to compose his songs. He was so talented to the extent of composing, writing, and singing his thoughts out. His songs were filled with entertaining and educative content and were all thematic. He was able to convey a profound and motivational message through his compositions, and this is one of the things that saw his image grow up the ladder to the best position in Greece. Everything did not end at the content of his music. His voice was to die for. His smooth, soothing, and romantic vocals would give his fans goosebumps each time he stepped on stage. His studio recordings were a reflection of his natural voice. He was able to generate music that remains in the ears of Greeks and the world even after his demise. It appears that Manos was too focused on his music career to the extent of not getting married early enough. Manos got married to the love of his life, Dora Sitzani, in 1978. He was at the age of 41 years when he got married to the beautiful Dora. The two would only have four years together since Manos would later succumb and die. As the responsible man that Manos had always been, he was able to hold onto his marriage with Dora for four years. It was quite unfortunate that the union would not last. Dora Sitzani was a Greek actress born in 1948 in Kastela. Her major appearance on film is in the famous production- Image of Love. Greece was not ready to take the shock of the demise of Manos in 1982. The 17th September 1982, the songbird of the Greek Nation would succumb, following a series of stroke attacks. He was at the age of 44 years when he took his last breath. The songbird, however, would leave behind some of the greatest music hits even today. Among the great hits that Manos made in his music journey include; I Gorgona, O Dromos, O Fadaros, Deka Palikaria, Poso S' Agapo, Delfini, and Ach Helidoni Mou. He will remain in the ears of Greeks and the world. Manos was indeed a music legend of the 20th Century.